Fans of the Adult Swim animated comedy series Rick and Morty haven’t had much existential happiness lately – what with the recent wrap of season 3 and the McDonald’s Szechuan sauce fiasco. 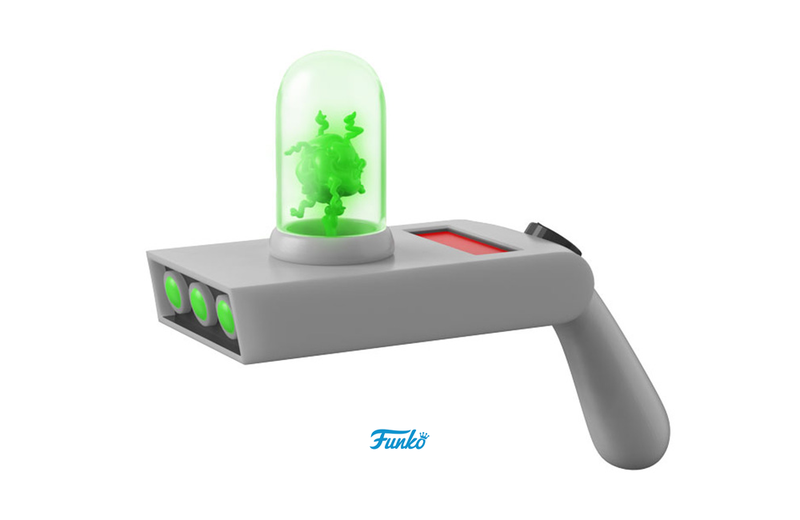 Funko is aiming to bring the joy back with its pending release of a “life-size” Rick and Morty Portal Gun. While the 8-inch-long toy won’t allow owners infinite inter-dimensional travel, the 1lb gadget does come equipped with a trigger to emit “a variety of lights and noises”. All of the expected design features are in place too, including three plastic emitters in the front, a red display, a black knob, and a green plasma orb on top, making it perfect for cosplay. Available in November from a variety of online re-sellers, you’ll be able to “shoot” a green portal onto any surface for $14.99 USD and three AAA batteries. Imagine LEGO, but with even more flexibility to create. The Flexo System from New Zealand-based Flexo introduces a “flexible tendon” to the toy brick building mix.